My favourite bike company Specialized is quite appropriately focusing on women during the month of March and encouraging their retailers like Ashfield Cycles to get involved. On Tuesday, 20 March from 6.30 pm John and the team at Ashfield Cycles will host a ‘Women’s Clinic Night’ where women can come along to learn tips on how to maintain your bike, change a tyre and skills for the road or trail. You’ll also have the opportunity to meet other women who are interested in cycling. You can also enter a great competition being run by Specialized to win a women’s road or mountain bike and some great gear to the value of $3,600. The night is free but it would be great if you could register by calling Ashfield Cycles on 02 9797 9913. Ashfield Cycles is located at 353 Liverpool Road, Ashfield, NSW, 2131 and there is free on street parking nearby. 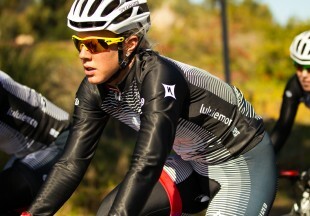 Ashfield Cycles will also be running a women’s only ride on Sunday, 25 March. Details of that will follow. Don’t tell anyone that I am on a women’s cycling page people might get the wrong message. However in saying that it is very good site and also thank you for putting on the info for me. Cheers John.